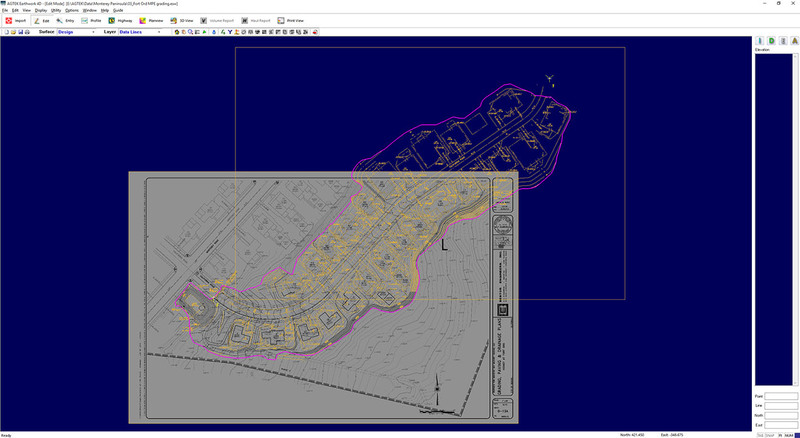 There's one small thing that adds tremendous value to your takeoff or job model, geo-referencing. Two points on your site make the plans, grid maps and other takeoff information line up on the earth. Almost instantly the ability to communicate to and from the field expands. Paper grid maps have been a staple of office-field communications for years. 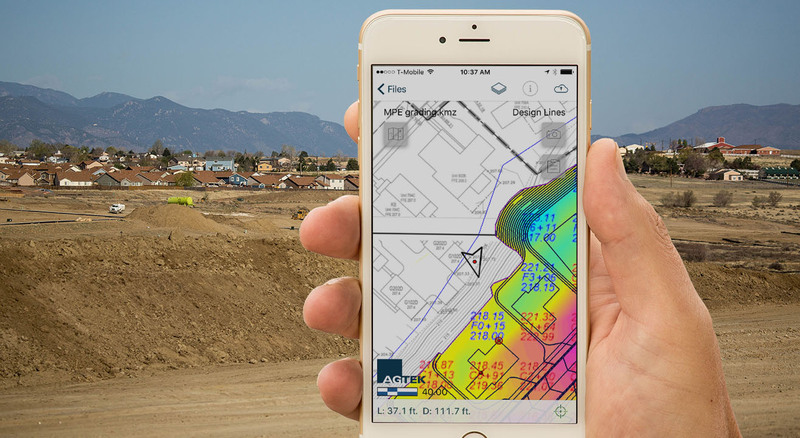 Smart devices are the next step by showing your position on the map and plans for instant situational awareness. Add to that the ability to measure and document site conditions with saving the results to the cloud. And beyond the grid map is putting all of that takeoff information you already have in a form that can be passed on to the field. Showing where it is, what the specs are, and the takeoff quantities among other things. 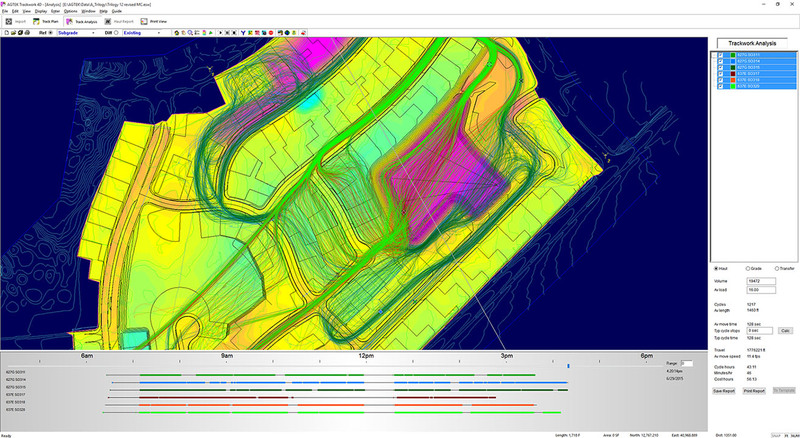 Analyze moving time, cycle times, speeds, stops and machine interactions to optimize and manage the flow of your job. 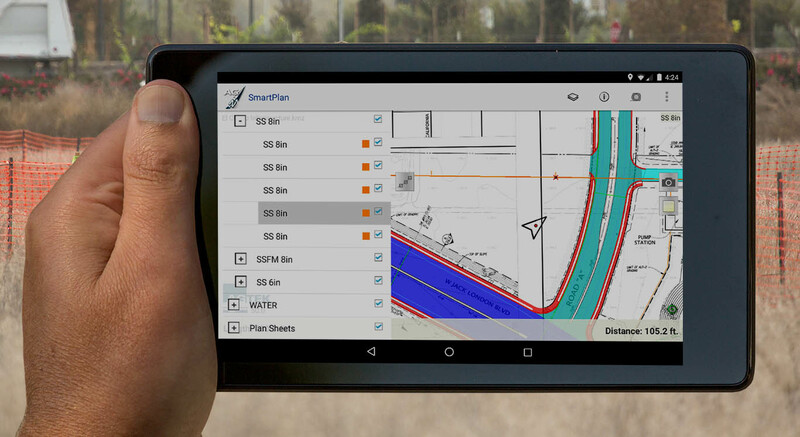 Plan and budget machine hours for on-site hauls, off-site trucks, surface grading and paving. Use generic mobile sensors to record and upload tracks to a Cloud server at 5-minute intervals. Download the tracks for instant, remote analysis on your laptop or mobile device. 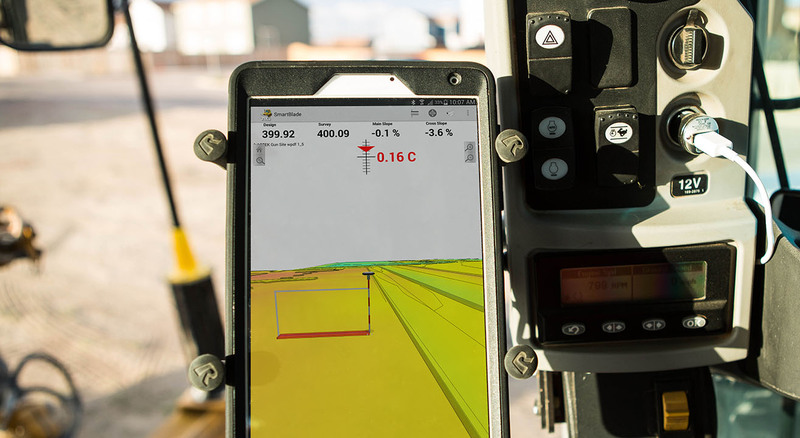 Portable, multi-purpose hardware and intuitive, Cloud-connected, graphical software makes this the most flexible, cost effective RTK package available for setting points, checking grade, measuring stockpiles and recording topos on your smartphone or tablet. Quick-mountable on a machine blade or roof for instant 3D grade guidance whenever and wherever needed. Ideal for contour grading, commercial jobs and rented equipment.